...after a long and unintended absence of several years, so perhaps a short explanation is in order. 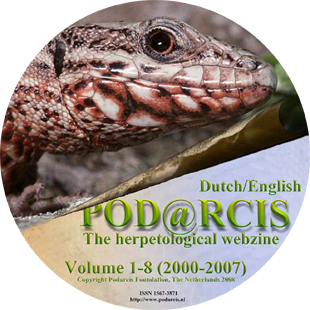 As an editorial group, most of us started with the Dutch terrarium periodical ´Lacerta´ after having been asked to help rejuvenate that journal. Our motivation was to provide amateurs and professionals alike with reliable information concerning husbandry of reptiles and amphibians. Over the years we encouraged a shift in submissions from anecdotal to more scientific material. Since most of us had biological training at the university level, it was only natural that we encouraged a more professional attitude in terrarium keeping. At the same time, we wanted to keep the papers accessible to the layperson; a challenge well met by the biology teachers among us. 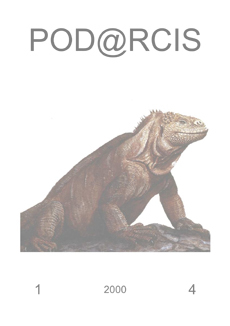 To further substantiate our ambition internationally, we founded the herpetological e-zine Pod@rcis in 2000. The emphasis was and continues to be on reproduction in terraria, terrarium keeping techniques, and field observations. We also published book reviews, travel accounts, news briefs and lighter material, and hope to do so in the years. 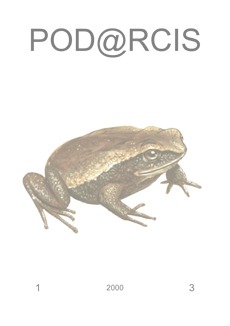 At the start Pod@rcis was the first webzine devoted to amphibian and reptile husbandry. The herpetological and terraristic expertise coupled with the layout skills and web knowledge of our technical staff offered radical new prospects. Even sound and video presentation of material was possible, though never used, in addition to the high-quality text and photographs in PDF format. During the first five years the webzine appeared in a bi-lingual format: Dutch and English (and when presented simultaneously with an English version, texts were occasionally also written in other modern languages). We aimed for an almost world-wide audience, with reader and contributor in the unique position of no longer being restricted by political or linguistic barriers. From volume 6 onwards, the publication switched to English only but does certainly offer the option of summaries in other languages, or rarely may present the text additionally in other modern languages. Manuscripts were edited in consultation with the author(s), often with the help of external expertise. As well, the language, flow and grammar were checked by native English speakers. This combination ensured that our readers received verified information and that the authors encounter a critical and constructive audience. And then life intervened: as most of us were, and are, in more or less the same age group, we encountered similar problems – e.g., job changes, health issues and the care of (elderly) relatives. The choice between loved ones and the webzine was unavoidable but time has passed and now we are back with unbridled enthusiasm. We are at present confronted with a difficulty commonly found in many collectives, ranging from groups of aquarium keepers to philatelists – an unfortunate lack of younger enthusiasts. If you are interested in helping to address this uneven age distribution in our technical or editorial board, please do not hesitate to contact us. 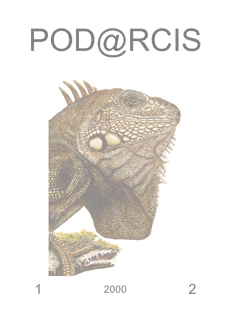 As we resume publishing our webzine, to avoid confusion in the numbering sequence, the next volume will be Pod@rcis n.s. [new series] 10, logically following the previous volume 9. When applicable, each year will continue to be separated into issues 1, 2, 3…We will still not charge for the webzine. However, a small monetary contribution from any of our readers or authors would be highly appreciated to help cover the costs of running the webzine. Back in 2000 we deposited the webzine in PDF format in various major libraries throughout the world. A recent search indicated that in some of these libraries, we seem to have disappeared. Any assistance from our readers and authors to help in depositing the journal in your institutional library where it can be freely available to all at no costs would be very much appreciated. As yet you have access to the issues already published. We started the new series. 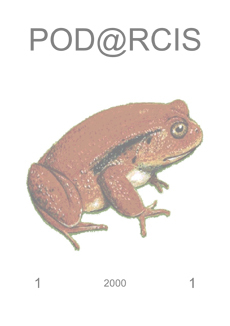 The first number of issue 10 was published in March 2019. To conclude, we intend to propagate fine and thorough papers and aim to function as an appropriate medium for everyone who wishes to share fascinating information on herpetology and terrarium keeping. Do get in touch!